British endurance riding is to introduce two new categories in the sport in a bid to offer more to existing members and develop interest in the UK. John Yeoman, chairman of Endurance GB (EGB), told H&H that the new campaigns answered members' requests. "We want to bring people in at the bottom of our sport, and that's pleasure riding," he said. "A number of our members wanted to have a pleasure riding championship or ride without racing." The 2008 Pleasure Ride Championship, sponsored by insurance company KBIS, is open to all competitors taking part in any pleasure ride organised by EGB, Scottish Endurance Riding Club (SERC), the British Horse Society and affiliated riding clubs. Pleasure ride distances vary between 10-40km, and one point is awarded per 1km covered successfully. The combination with the most points at the end of the year wins a championship trophy. Although people are not required to join EGB to qualify for the trophy, riders must complete at least four rides organised by EGB or SERC. "We hope to encourage people to come and see what we're doing and maybe have a go at an endurance ride too," said Mr Yeoman. "We're also organising a series of endurance rides for people who don't want to race, called the Performance Equestrian Endurance Challenge Series." This series also runs on a points-for-distance-completed basis, but over multi-day rides of up to 80km per day. As well as a trophy, there is £500 to the end-of-season winner, £300 for second place and £200 for third. Nottinghamshire-based Denise Hutchins regularly takes part in pleasure rides, but she said the new points system and trophy would not lure her into "competing". "As a pleasure rider it probably wouldn't interest me," she said. "I like to get a rosette at the end of the day, but I do pleasure rides because I don't want to compete." She added: "I'm thinking about joining EGB anyway to do a novice season with my youngster, but I do think of pleasure rides and endurance riding separately." Mr Yeoman denied that the move is directed as competition to Sport Endurance, a breakaway organisation set up two years ago, saying he hopes Sport Endurance will be part of it one day. EGB currently has 2,000 members. Final Report published by. 31.3.08. Lexington, KY—Over the last few days, the Southern California area has been engulfed in flames caused by wild fires aggravated by the Santa Ana winds. These winds that annually cross the Southern California area have been much stronger than usual, making an already dry area even more prone to catastrophe. These fires have spread quickly over the weekend and ravaged the region. For more information regarding the USEF Equine Disaster Relief Fund, contact Joanie Morris, USEF High-Performance Communications Manager, at jmorris@usef.org or (859) 225-2052. The 2007 Sultans Cup Terengganu Endurance Challenge to be held November 9-11 in Terengganu, Malaysia will be hosting several foreign riders and horses from all parts of the world. Most of the horses have arrived by now and are stabled at the quarantine complex of the Terengganu International Endurance Park. Riders or grooms are allowed to view certain parts of the course on horseback, following strict quarantine separation rules. We are waiting to take our final flight to arrive in Terranganu. We left on the 14th and will arrive the 20th! It is very hot here and currently raining which happens at least once a day. We saw Kuala Lumpur, the most beautiful city we have ever seen in our lives. We also saw wild monkeys, very cute. All 4 USA horses are well. Talk soon. Our last flight which was supposed to be a 50 min flight turned into an all day mission. We flew to Terengganu (pronounced Train- GA- nu) and as we were to land the pilot decided it was unsafe as there was little visiblity so we turned around and flew back to Kuala Lumpur. They unboarded us, gave us luch vouchers and leisurely collected the passengers again and we waited onboard for about another hour and a half and finally flew again with success. all the while our horses, who were supossed to be on a parallel flight had landed first try and were there with out us. The quarantine barn is huge. It is all screened in. It has 56 stalls. We have 4 horses:) the weather is very sticky and hot. Today it is 89 degrees with 80% humidity. The pool at the hotel overlooks the ocean and has a disappearing edge. Beautiful. The dining area is open and the ocean breeze comes through. Wish you were all here. Horses are still good. We had our first ride in Malaysia. It was very hot to say the least. Cal has requested to have fans and ice following him:) I rode for 40 min and all I did was walk jog. His body temp. was 102.2. Very disturbing. I hope that with more time adjusting and water available on trail will help this. I also rode during the day, the race will be at night. Last night Jeremy and I spent much of our sleeping time trying to find a mouse that was in the headboard of our bed. It sounded like he was on our pillows. no luck in finding him. Jeremy even had his headlamp out to try to see him. The food here is terrific. There are many local fruits that I have never heard of that are great. While running yesterday Jeremy and I saw a group of monkeys making a lot of noise. They were also jumping thru the tree tops. I also had a group of school girls giggling at my running outfit. The school bus was driving on the dirt trail that the horses go on. The bus was the size of a tour bus! While running we saw many local non endurance horses. Very skinny. There are a lot of cats as well, mostly feral. Last night we went for a romantic walk on the beach out in front of the hotel. That was all fine and nice until you walked beyond the hotel and realized that the jungle borders that beach and there aren't any lights. All of the sudden we were too paranoid to enjoy the ocean breeze. We got the heebee jeebees and turned around quickly. There were neon glowing flashes in the ocean which I assume are some tropical fish. Everyday at least once there is a tremendous downpour of rain. Hasn't come yet today, it will. Well we are headed off into town, we have been here 3 days and John and Kathy's pallet with there clothes and all horse gear is MIA. We will go shopping with them for basics. Updates and photos will be posted on the Endurance.Net Sultans Cup coverage site at http://www.endurance.net/international/malaysia/2007SultansCup and at the official 2008 WEC & 2007 Sultans Cup website at http://www.malaysia-wec.com . FAMILY FOCUS: Phillip and Alison Higgins with one of their endurance horses, Omar, at Twynham Station. Nelson Endurance Club celebrated 25 years of competition at the weekend with an anniversary ride in the Eighty-eight Valley. Anne Hardie talks to a Nelson couple that devote their spare time to getting their horses fit for events that will test the stamina of both horse and rider. Finding long rides to keep horses fit for endurance events is no problem for Alison and Phillip Higgins, who are surrounded by 1400ha of rugged countryside that forms Twynham Station. Five kilometres of gravel track and impossible-to-avoid potholes lead away from the public eye along the road between Kawatiri Junction and St Arnaud. The track hugs scrub-covered hillsides before opening up to a long sweep of valley that holds much of the productive land for the station. The Australian Quarantine and Inspection Service (AQIS) facility into which these stallions were taken for their 2-week arrival quarantine period has since been shown to have been extremely lax about all methods of quarantine operations! Our government agencies who are supposed to deal with these types of problems immediately swung into action with a plan that was prepared about 10 years ago, and which was predicated on the virus being spread by direct horse to horse contact. Unfortunately, this virus decided that it would spread itself by a variety of other means, including being borne on the wind, and on people's clothing and vehicles, etc. And this virus doesn't discriminate! All types of horses are being struck down: some end up worse off than others, some are dying, some are having long-term effects, some have a bit of a snotty nose. This is the breeding season Down Under, so we have thousands of foals on the ground or due, and they seem to be getting the worst of the virus with many foals dying or experiencing unheard-of difficulties. The equine industry is Australia's THIRD LARGEST industry, for income, employment and associated businesses. This has hit us all really hard! The Racing Industry comprises about 30% of the overall equine industry in Australia, but it is the Racing Industry that is getting the major portion of the support and assistance from the government, including free vaccinations of their horses. Of course, the Racing Industry has a lot of clout, with taxes from gambling and huge figures paid for horses and breeding fees. Also, some of the Racing Industry's high-profile players have an inordinate amount of influence in our government. The rest of the equine industry are getting pretty peeved about the situation, and if you want to read more about it all you should check out the EI blog page at www.horsedeals.com.au for the latest whinges and comments. On a personal note: I am a full-time endurance horse and rider trainer, and I have been locked down since 25 August. That means I have had no income since then, apart from basic agistment fees from my clients. I have 28 horses and 1 newborn foal on my 40-acre property, with two more foals due within the month. We have been in drought conditions for years now, so there is no natural feed on the place. I am not allowed to move any of my horses to an agistment property that I lease (where I already have another 8 horses), and I am not allowed to sell any horses. My feed bill is approximately $1600 per week, and my income has dropped to approximately $700 per week (agistment fees). My usual income is supplemented by training fees, lesson fees, and tours for international endurance riders. I am certainly not the worst off, however! So far my horses are well, although this morning I noticed a few snotty noses starting to appear. The closest confirmed cases of EI are about 1km away from me, so I certainly expect to get the virus in the near future. We are not allowed to vaccinate! It is illegal to privately import any vaccines into Australia. The government is limiting vaccinations to the race horses and the TB breeding stock, and certain other "high-value" horses such as police horses, entertainment horses, Olympic horses, etc. Endurance horses (even high value ones like mine :-)) are being ignored. As of this morning the government has announced that they have purchased enough of the vaccine to start vaccinating 'pleasure' horses as well as racehorses.... far too late for some. This blanket vaccination program will take weeks, if not months, to be finalised, and we will stilll all be in lockdown until after the last horse is over any effects of the virus. The effect on our economy is going to be pretty huge by the time it's all over. Our endurance season has been stopped in its tracks, with all rides cancelled for the rest of the year. In fact, it looks like we won't have any rides until after May 2008 at the earliest. Anyway, enough of my whining. Just thought you'd like to know what's going on here, and what EI is doing to us. I am happy to answer any questions. The 2007 Sultan's Cup Terengganu Endurance Challenge will be held November 9-11 at Terengganu International Endurance Park, Terengganu, Malaysia. The second running of this prestigious 160km Endurance challenge will also be the official test event for the 2008 World Endurance Championship (November 6-9, 2008). In addition to Malaysia's best horses and riders, several competitors from around the world will be there to test the course with their own horses, and experience first hand the unique challenges of Endurance riding in the tropics. 19 riders from 9 countries have been invited to participate in this event. The Organizing Committee is covering the costs of travel and accommodation for each rider, a groom and a horse. All horses will be flown to Kuala Lumpur and than transported by van to Terengganu, where they will be housed at quarantine barns in Terengganu International Endurance Park. The horses and riders are expected to be on site by October 20, allowing approximately 3 weeks for rest and acclimation. HELD IN WESTERN AUSTRALIA @ TUMBULGUM FARM ON THE 28th 29th and 30th SEPTEMBER. The Tom Quilty Gold Cup was started by one of Australia’s icons R.M.Williams and Tom Quilty in 1966. 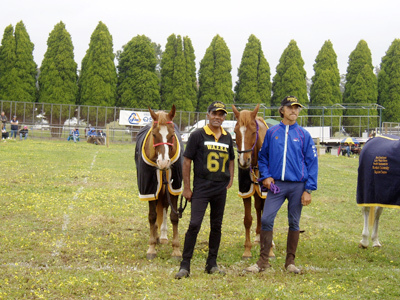 In the early years the Quilty was only run in the eastern states being held in NSW. Then it was changed and it now rotates to each state so it only takes place every six year in WA. 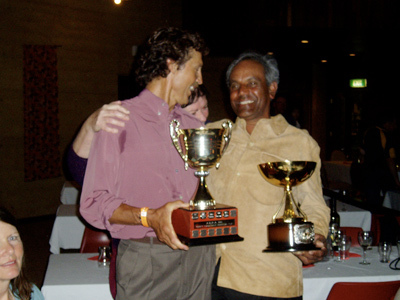 On 29th September 2007 History was made the first West Australian to win the Tom Quilty Anton Reid with the horse he breed and trained a beautiful 10 year old chestnut mare Endurowest Kumari. Equally special to this event is that it is the first time a USA competitor Christoph Shork who placed equal first riding Arovo Mini Harvest a handsome chestnut gelding 10 year old a horse owned and trained by Anton Reid. Anton Reid of Endurowest Arabian also had two more of his horse that he has trained they placed in the top 10 as well. Moultan a bay 6 year old place 3rd ridden by Gary Hutchins of WA and Gamellah a beautiful Grey mare aged 9 years old Placed 4th ridden by Sandi Brown from NSW he also had two other horse he trained competing with riders from Japan and Victoria. To top this off Anton had also entered the team event and Endurowest Arabians team won that as well making the weekend a very successful. 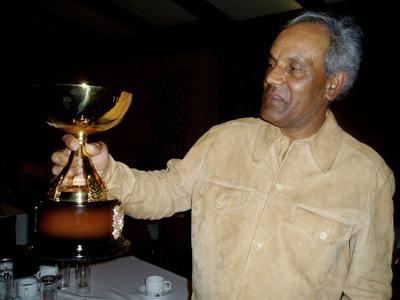 Anton’s horse Endurance Kumari also was awarded the Arabian Society Trophy. Anton has been chasing the Tom Quilty Gold Cup since 1995 his fist attempt and has finally realised his Dream. photo: Glenda Sutton, who is among the best camel trainer/riders in Australia. Distance riding is a growing sport around the world, and in August 2008 a unique endurance event will take place in a sleepy Australian outback town in central western Queensland. But this event is not for horses - it's for camels. The 150km Great Hughenden Camel Endurance Challenge will be run over three days in the area of Porcupine Gorge, from August 22 to 24. Up for grabs is a $50,000 prize purse. Camels played a major role in the opening up of Australia's vast and desolate interior, covering huge distances with loads that were unimaginable for other beasts of burden. The race will highlight the Outback and its rugged beauty, those competing will experience hardship and trials as never before and for many just to finish will be a accomplishment of which they will be forever proud. Camels will come from all over Australia, and from the UAE, America, Asia and Europe. The competition should be fast and competitive and there is potential for a reciprocal event to be held in the UAE in 2009. Contact Paddy McHugh, 0427216720 or 07 47216720 paddy@paddymchugh.com. It was an amazing result. Last year there were only three horses who gained the coveted Elite' and this year 15 were victorious. Another 30 gained 'Excellent'. Altogether 91 horses passed the 90k ride whilst 76 were either eliminated or abandoned. 400 Young Horses Compete in France! four year olds who are attempting their first 40k - that was today and there were 41 of them taking part. six year olds tomorrow who are trying their first 90k and there are 186 entrants for that. Christina Mutis riding Pinkio finished first at the recent CEI/YR***120km Endurance race held on 22 September at the Los Pinos Polo Club near Bogotá Colombia. Pinkio was also awarded the Best Condition prize for the event. Christina and Pinkio finished the course in 8:18, besting the second place (Senior) Daniel Vasquez riding Luterana to a 9:48 finish time. The United States Equestrian Federation is pleased to announce that the following riders have been invited and have elected to compete at the World Endurance Championship Test Event in Malaysia November 9-11, 2007. Unlike the Championship (scheduled for November 2008) where the Federation sends a team based on a Selection Procedure that is recommended by the high performance discipline committee and approved by the Federation, riders attending the Test event were invited by the Organizing Committee. The test event serves the purpose of proving that the course and the infrastructure and organization of the OC are up to the standards of a World Endurance Championship. Meg Sleeper DVM of New Jersey, Riding H H Saba Shams, an 8 year old Arabian Gelding. The Federation will send Veterinarian Todd C. Holbrook of Tulsa OK. as Team Veterinarian and Vonita Bowers, USEF Director of Endurance as Acting Chef d’ Equipe(pending approval).Both Dr. Holbrook and Ms. Bowers have served in their respective capacities at Regional Championships in the past. "The endurance riders (an interesting group of lunatics who think that it's fun to ride 50 to 100 miles on horses) had contact with the Gulf Arabs because the families of Dubai and Abu Dhabi had taken up endurance in the 90's, and by some weird fluke I had found myself the manager of a 120 km race that was Egypt's first international endurance race sponsored by Mohamed Maktoum in the spring of 2000, just before my husband's death. I was the only person on the organising committee formed in Cairo for the race who had even the vaguest idea what endurance was, though it was entirely academic and my friends abroad helped to coach me through the ordeal." One hundred miles: a return trip from Dublin to Portlaoise. You could drive there, take a bus there, even hop on a train, but would you ride it? Imagine how long it would take. Would your horse carry you that far? Would you be able to stay in the saddle for that long? Endurance riding is a relatively new sport to Ireland, but there are a small number of top endurance riders in this country who set both themselves and their horses the grueling task of completing a 100-mile race. Kevin Croke is chef d'equipe and high performance manager of the Irish endurance riding team, as well as a director of the Irish Long Distance Riding Association (ILDRA). "It's a very specialised sport and it takes three years or more to get a horse to the stage where it can compete in a 100-mile race," he explains. "If someone was looking for a 100-mile horse, they would pay good money for it." By far the most common breed used in endurance racing is the Arab or some type of Arabian cross. "They originally come from the desert and were bred to travel long distances," explains Kevin's daughter Yvonne, who is herself an international competitor. With a European endurance champion Arab stallion at home, as well as a half-bred Arabian cross and a three-quarter Arab, she is enthusiastic about the breed. "We have bought some mares to try and breed what we think is the best type of horse for endurance riding," Yvonne explains. The aim is that the foals sired by her two stallions at Delour Valley stud to thoroughbred mares will be crossed back again to Arabian stallions to make the ideal endurance horse. "The Arab's fundamental qualities are stamina and endurance," she says, before adding that she found Arabs very loyal. "They will just go and go for you. That goes back to when they would have been taken into the tents by their owners in their native desert home," she says. However, there is room for more than one breed in long-distance riding and one of her horses, Salubrious Diamond, has roots in traditional Irish breeding. "Diamond is three-quarters Arab, three-eighths thoroughbred and one-eighth Irish Draught -- he has King of Diamonds on his dam's side," says Yvonne. Veterinary knowledge and an intuitive grasp of how the horse is coping with a long distance are paramount in a long distance race because there is no point in pushing your horse to finish first if it is then eliminated from the race by the vet. "You need to understand your horse, how it is feeling, you need to be able to read it," explains Yvonne. "There is a point where the horse, or even the rider, hits 'the wall' and the difference between the best riders and the rest is that the best riders know when they've hit the wall," Kevin says. "They need to adjust the pace, slow down and both horse and rider must be able to take in food and water, even if their body is saying it doesn't want it," he says. "But it can sometimes be too late, a bit like putting oil in the car when the light is on: there is already some damage done." The diet of an endurance horse is linked closely with its performance, and the animals are fed a high concentration of vegetable oils like soya oil and sunflower oil. The benefit of oil is that it gives a slow energy release without the 'fizz' associated with feeding oats. "As well as that, horses are 30pc warmer without corn in the diet," explains Kevin. High amounts of protein are also avoided in the diet, because this can make the horse prone to tying up. "We only feed a 10pc protein mix." For international competitions, there is a mandatory minimum weight of 75kg that the horse must carry, which includes both rider and tack. "I think around 20pc of the horse's own weight is the maximum he should carry, so, for a horse of 405kg, the target weight should be around 81kg," says Kevin. "If the riders aim for the minimum weight, they could lose weight during the ride and get eliminated, so it is safer to aim for little bit above the minimum." As regards age, horses must be at least seven years old before they can compete in long distance races. "Endurance horses are at their best in their teenage years," says Kevin. "Older horses don't have too many problems, as long as you take care of them. You have to put in a very good foundation to increase the strength of the tendons and muscles," he explains. "We walk the horses for six weeks before they get a single trot and even then we don't hammer the roads." Although endurance riding originated in the Middle East, its popularity spread rapidly to the west and throughout Europe. One of the top Irish endurance riders, Emer Lennon, proved that Irish riders can compete against the best in the world when she finished 34th in the World Equestrian Games. With her horse, Damascus D'Azat, Emer began the 160km ride against 159 other competitors, including three other Irish combinations: George Finlay and Flint; Emily Miller and DVS Tahini; and Iona Rossely and Auscot Park Astra. With the other three Irish pairs knocked out at vet gates three and five, Emer completed the race with an average speed of 14.86km/hr in a race which saw 94 of the 159 starters fail to complete the course. For anyone interested in the sport of long distance riding, the season generally starts in January and runs through to the end of October, although there may be rides throughout the year. The introduction to long distance riding is the pleasure ride, which is open to both members and non-members of the ILDRA. Ridden over a distance of less than 20 miles, most pleasure rides take less than two hours to complete and are how most riders first get involved in endurance riding. Pleasure rides (PRs) are just that: rides that are for pure pleasure. There is no competitive element, although there is a trophy awarded each year to the member who has accumulated the highest PR miles during the year. Riders must be at least six years old and horses at least four years old before they can start pleasure riding. Juniors must ride with an adult accompanying them until they are fourteen years old and adults can only accompany two juniors at a time. So what happens on a pleasure ride? A typical day will begin between 10.30am and 12.30am when the organisers will explain the route for the day and you will pay your fee of around €10-15. Maps of the route are distributed to each rider, as well as contact mobile phone numbers in case of emergency. Although some people prefer to ride individually, most people end up riding in groups of two or four, following the route which is marked out with orange tape and yellow spray paint. Moving onwards from the pleasure ride, the next step for horse and rider is the competitive trail ride (CTR). A CTR is longer than 20 miles and must be ridden within a set time. Horses must be at least five years old before starting CTRs and jockeys must be at least nine years old. The horses are vetted before and after the ride and if the CTR is longer than 40 miles, there will be at least one -- if not more -- vettings during the ride. At the CTR stage riders are not competing against each other but working towards a series of awards called the Shamrock awards which start at bronze level and run through silver, gold, platinum and diamond levels. 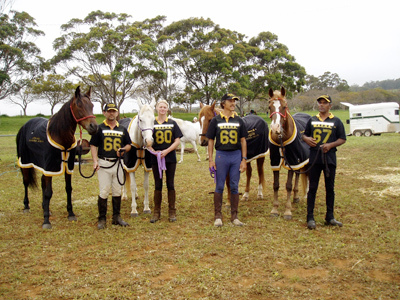 Gold shamrock qualification allows horse and rider to start to compete in endurance races (ERs). To qualify for the bronze shamrock, horse and rider must take part in two qualifiers of 20 miles each and a final of 30 miles. Bronze rides must be ridden at speeds between six and eight miles per hour, to ensure that the horse is built-up steadily without being pushed to too high a speed too early in their career. The silver shamrock requires two rides of 40 miles each, while the gold shamrock involves two 50-mile rides. To qualify for the platinum shamrock award, the horse and rider must complete one 63-mile ride and the diamond shamrock is awarded when the pair completes a ride of 72 miles. 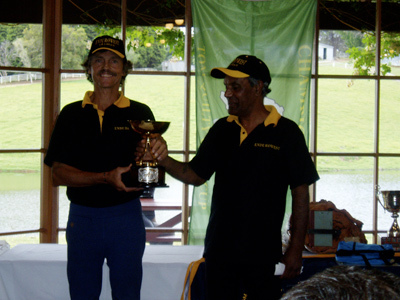 The 2007 Tom Quilty Gold Cup is Australia's most famous and prestigous 160 kilometer (100 mile) Endurance challenge. This year's TQ was held on September 29 at Tumblegum Farm on the west coast of Australia. A total of 75 riders started, with 31 completing the challenge.